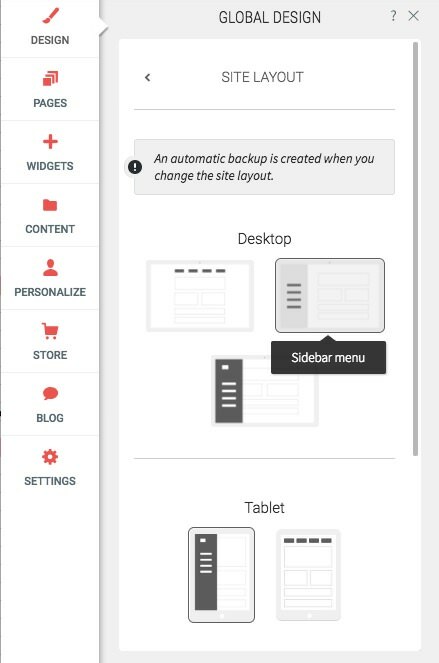 Within your Global Design settings you can switch the layout of your site as seen on various devices. 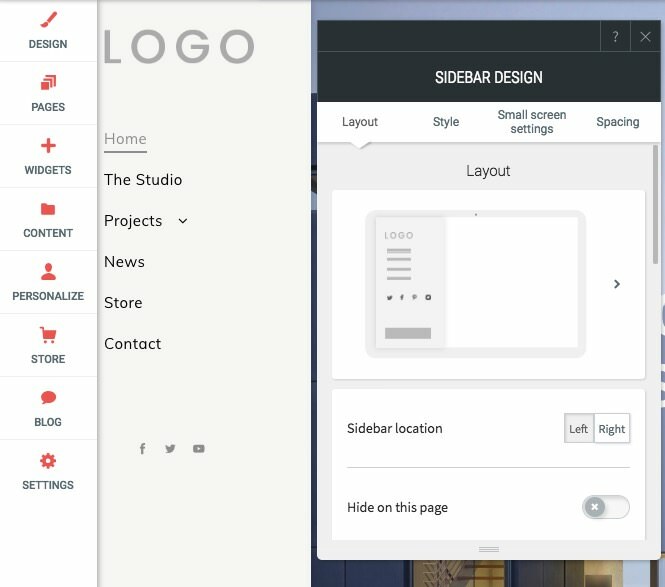 One option for your desktop view is the sidebar style, which will move your navigation to the side and make it persistent as you scroll. Note: When you switch layouts, the logo will remain, however, all widgets in the header will be removed and the background color will change. Note: when you update the layout, an automatic backup is created. Once your sidebar layout is implemented, you can arrange content and add widgets as desired. To edit the sidebar design itself, click on the sidebar menu, and you can alter various aspects, including location. The shrinking header can’t be applied to this layout style. On small screens, the content will be hidden and display an expand menu icon. You can customize this icon by clicking on the design settings.